Nose: Aromas of blackberries burst forth from the glass, accompanied by green, leafy pine. Palate: Bright, resinous pine notes with cedar and a touch of vanilla. These notes are followed by a berry medley of raspberry and blackberry, with a light, but balanced sweetness. Finish: Cedar on the finish with a touch of dry woodiness and a gentle warmth. Comments: A spirit that shows finesse and is very sippable. Best enjoyed over ice or in your gin cocktail of choice. Nose: Pine forests and slightly nutty at first then ripe hedgerow fruits emerge along with lemon, lime and a pleasant, delicate mix of rosemary and thyme. Palate: Wonderfully smooth and creamy with citrus fruits cutting through a slightly herbal, vegetal base. Finish: Long, rich and warm with a crisp clean edge of lemon and lime. 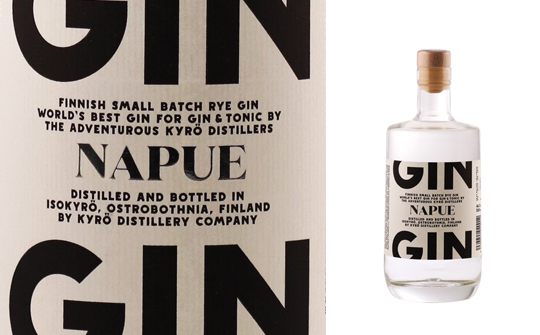 Comments: A robust gin with plenty of body and flavour that would jump out when topped with plenty of ice and tonic. Add a wedge of lime.